If you’re an Amazon Prime subscriber, Amazon is running a sale right now that you’re definitely not going to want to miss. 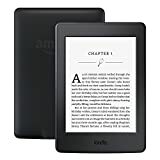 The insanely popular Kindle Paperwhite E-reader is by far the best all-around e-book reader Amazon has ever made. It features a great design, a beautiful high-resolution backlit screen, and more capacity than you’ll ever need. It’s also a bit pricey at $120, but Prime members can get one today for only $80! That’s the best price we’ve seen since Prime Day, and it’s definitely the lowest it’ll be until Black Friday.